The truth about pregnancy pillows: THEY WORK. I didn’t buy any when I was pregnant with Zane… mostly because I was skeptical and not really sure why a pregnancy pillow would be that different than the 20 pillows I had on my bed already. I remember with Zane, I had 1 pillow under my belly, another between my legs, 2 behind me so I wouldn’t roll on my back and a few others depending on how uncomfortable I was. They didn’t really help for long periods of time because they always shifted, moved out of place, or when I eventually had to get up to go pee, it was mission impossible getting them all back into place. I got my hands on 4 different pregnancy pillows from Boppy and am here to tell you: Don’t make the same mistake I did. Their pillow are affordable, amazing quality and will save your sanity by allowing you to comfortably sleep during your pregnancy! Go. Get. One. Now. Total Body Pillow: It supports your head, shoulder, belly, legs and ankles. It really is a support for every part of your body. You can use with while lounging or sleeping and it really is the ultimate solution. I LOVE my regular bed pillow, so this full body pillow I would mostly use while lounging. I asked a friend for her opinion and after her first night sleeping with it, she told me it was the best sleep of her pregnancy! Even her husband asked why she didn't get one sooner! Support Pillow: It supports your Head and Shoulder, Baby Bump and Shoulders, Baby Bump and Legs, or Back and Legs. It allows you to use your own bed pillow (which I love) and is compact enough to bring anywhere! I will definitely be packing it in my hospital bag! 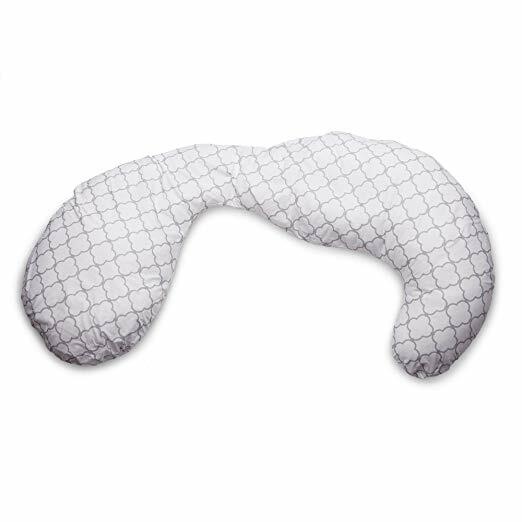 Side Sleeper Pillow: It supports your Back and Baby Bump and is especially helpful for women who are used to sleeping on their backs but need to learn to sleep on their sides during pregnancy. It gently cradles your baby bump and sits behind your back, preventing you from rolling over! The stretch panel will grow with you throughout your pregnancy! The Wedge: It supports Knees, Back or Baby Bump. This is probably the most underrated product out there. I would have NEVER thought a tiny wedge could make such a difference… but it’s incredible. It alleviated so much pressure off my hips and back during my pregnancy! I sleep with the wedge under my belly and the support pillow between my legs. 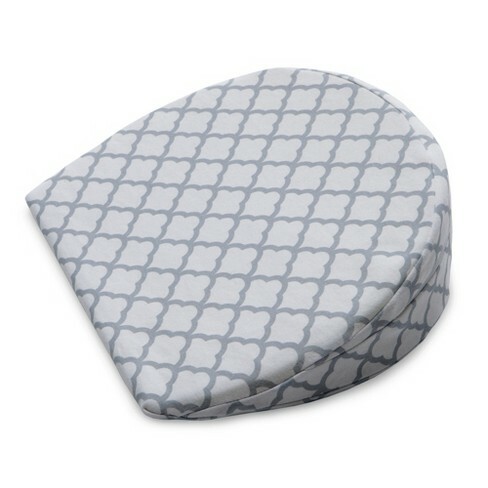 Whether you are pregnant, know someone who is, or are currently trying to conceive, pregnancy pillows will save you and I would definitely consider them a must for every pregnant woman!!! I love my pillows from Boppy because they are durable, affordable and you can remove the covers to easily wash them. I wish I would have tried them sooner!!!! All of Boppy’s pregnancy pillows have removable covers, making them super easy to wash and reuse pregnancy and pregnancy. I regret so much not investing in one for my pregnancy with Zane! Head over to Boppy to check out all the other amazing products that they have for pregnant and nursing mamas!